Jac-Knife Highway Pegs are a sleek alternative to engine guard highway pegs by attaching to the factory floorboard and positioning the riders’ feet to the side. Engineered to conceal under OE Harley-Davidson floorboards, Jac-Knife Highway Pegs are virtually unnoticeable when not in use and easily “flip” in to place when they are called in to action. 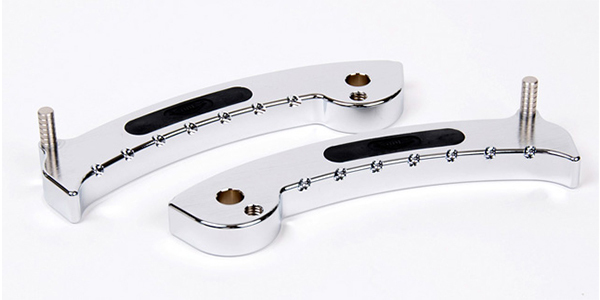 The pegs are CNC-machined of T6 6061 billet aluminum and are concealed under the floorboard when not in use. Pegs provide alternative foot position for added comfort and eliminates the need for traditional engine guard highway pegs.